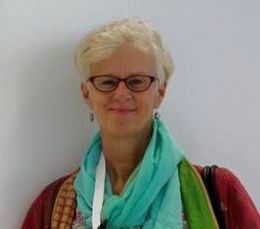 Katherine Pettus, PhD, Advocacy Officer, International Association for Hospice and Palliative Care, reports on the 4th International Public Health Palliative Care Conference held on 11-16 May 2015. The conceptual links between the two meetings were evident throughout, though. The Bristol pre-conference site visits and workshops illustrated the practice of what EAPC President, Professor Philip Larkin, identified in his closing presentation in Copenhagen, as relational autonomy being ontologically grounded in community and relationship. 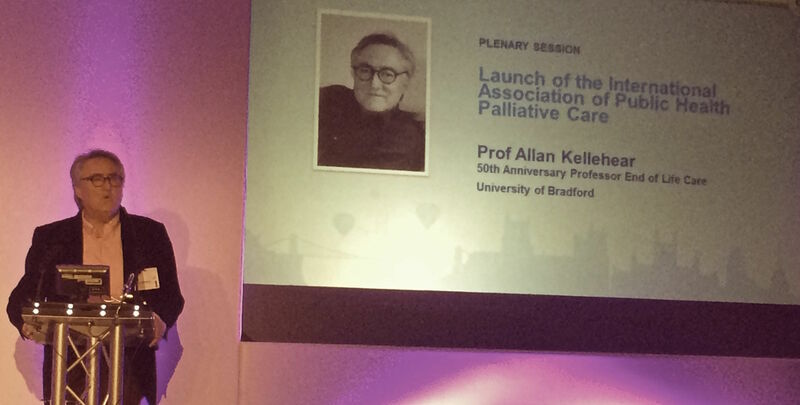 Incoming Public Health Palliative Care Association Chair, Professor Allan Kellehear, emphasised the importance of “the social” perspective, identifying the framework of compassionate communities, and the Compassionate City Charter as praxis frameworks. Indeed, one of the most memorable and tweeted statements of the conference (among many others!) was Professor Kellehear’s claim that the compassionate community concept of palliative care was “not about services, but about citizenship”. As a political theorist who specialised in the study of citizenship, this was music to my ears. I have written about best practice palliative care as literally embodying the virtues of classical republican citizenship. A few workshops and plenaries showcased the work of international visitors such as Dr Satoko Hotta, who presented on National and Local Dementia Strategy in Japan; Dr Faith Mwangi-Powell, Tamil Nadu physician, Mohanasundaram Thiagarajan, and Dr Santiago Correa, who runs a clinic in Rio Grande del Sul in Brazil, where it takes patients from six to eight weeks to get morphine prescriptions filled. Dr Christian Ntizimira, from Rwanda, spoke about how palliative care could help heal the wounds of the genocide. Elizabeth Bayliss, Chief Executive, Social Action for Health, who presented on the Compassionate Neighbours project at St Joseph’s Hospice, London, subtitled, ‘Death as a way of loving’, exemplified the theme of the conference with her claim, “We can’t leave death to the experts.” The ethnically diverse, eight-week Compassionate Neighbours course in Hackney, East London, teaches volunteers skills such as listening, observing, reflecting, and building ability for autonomous action. Volunteers have identified that they want their impulse to care to “be legitimated” and they want “to be part of a movement” for compassionate communities. A highlight of the pre-conference programme was a site visit to Weston Hospicecare, (Somerset) where Compassionate Community Team Leader Susan Gerry-Riley presented on her caregiver support group, ‘Share the Journey’, which created spin-off ‘Buddy groups’ comprising bereaved spouses who consistently show up for one another in both formal support groups and social outings. One of the buddy groups came en masse to meet the international visitors and share their stories about how their group of friends had been a lifeline, first in early bereavement, and then a source of joy and companionship in their socially anomalous single state. I encouraged the staff at Weston to do some research on the morbidity and mortality rates of buddy group members compared to unsupported bereaved spouses. The meeting concluded with elections of officers for the new Public Health Palliative Care International Association, which aims to “promote practice, learning and new knowledge around a public health approach to palliative care.” The next conference will be held in Ottawa, Canada in 2017. 1. “Does the Nation’s Survival Depend on a New End-of-Life Conversation?” Helen Stanton Chapple and Katherine Irene Pettus in Rogne, Leah, and CT Susana McCune MA, eds. Advance care planning: Communicating about matters of life and death. Springer Publishing Company, 2013. Compassionate Neighbours project at St Joseph’s Hospice. This entry was posted in ADVOCACY & POLICY, NATIONAL & INTERNATIONAL REPORTS, VOLUNTEERING IN PALLIATIVE CARE and tagged Compassionate Cities, public health palliative care, th International Public Health Palliative Care Conference. Bookmark the permalink.